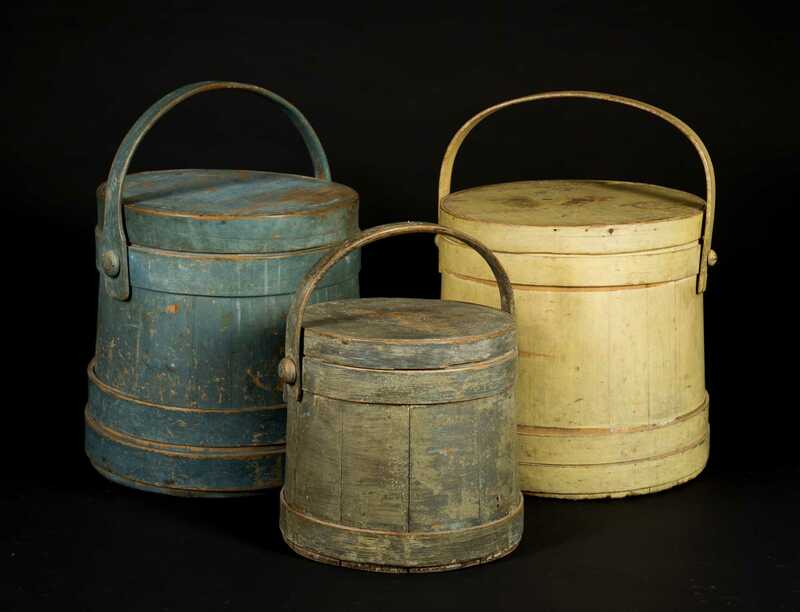 Stack of 19thC Painted Shaker Style Firkins, A) 12" tall interlapped firkin in old blue paint, some paint losses. B) 9" tall interlapped firkin in dry scrapped green/gray paint, small edge loss to lid band. C) 12" tall lapped firkin in lemon yellow old paint, few stains on lid top.